Have you noticed a rise in your recycling costs? You’re not alone. Because of new trade policies, the waste management industry is seeing this trend throughout the country. Prior to the import ban on recyclables, the number one destination for recyclable materials once they were exported was China - and it had been that way since the 1980s. In 2016, China processed 7.3 million tons of the world’s exports of used plastic, metals and waste paper. For decades, China has accepted the world’s waste, but now, with the ban, the country is making substantial changes to curb pollution on their soil. The key thing to note is that the ban from China is not a ban of buying the material but a significant reduction in the amount of allowable contamination in the material being sent. Hence, U.S. companies that collect or process recyclable material are facing challenges as they work to reduce contamination while finding other buyers for the material. Since there is a shortage of buyers in the US, this has created a surplus in scrap materials and sent global prices for scrap material plummeting to all-time lows. Overall, this is posing an issue for U.S. waste management companies in numerous cities and towns who are now upside down on their operational costs to collect recycling forcing them to either raise rates, discontinue routes or send all of the material to the landfill. Keeping this in mind, what is the best way for your organization to handle your recycling program in light of the Chinese ban and recycling contamination problems arising? Primarily, the China ban is a global recycling wake up call, forcing the industry to reconsider its approach to recycling. Private companies and cities alike could benefit from this if they take the opportunity to strengthen domestic demand for recyclable materials and map a sustainable path to reduce contamination moving forward. Now is the time to make sure your organization is doing their part to recycle properly and avoid contamination thus ensuring recycled goods are not diverted to landfills. Hopefully, by recycling correctly, we can help curb rising prices and recyclable material being sent to the landfill. In order to steer clear of recycling contamination within your organization, it is best to educate yourself on what causes this issue. Recycling contamination can happen in a number of different scenarios. Most often, it occurs when improper materials are placed in the system or when the correct materials are contaminated from outside substances, like food residue. Unfortunately, an entire batch of recyclables can also be considered “contaminated” if something is disposed of in the wrong recycling bin. For instance, something as harmless as shredded paper or cardboard could be considered a contaminate if it were placed in a plastics-only bin. 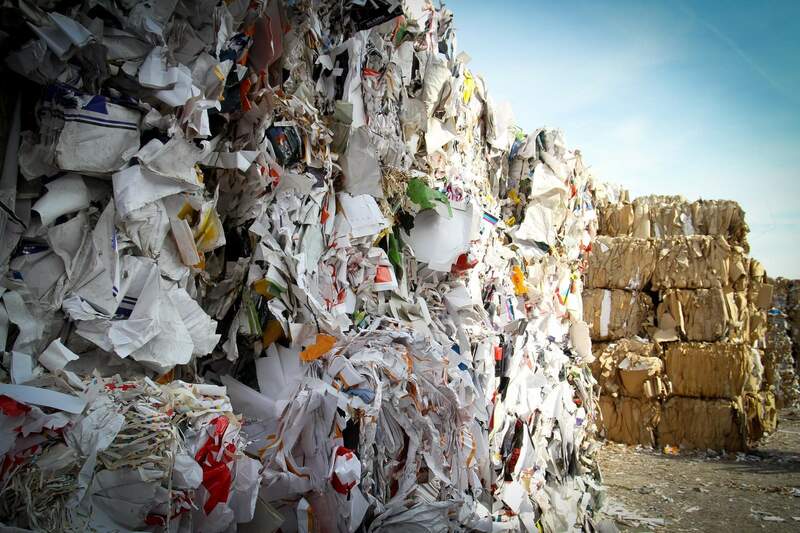 If it’s too hard to separate, the entire batch may not be recycled - posing not only a threat to the environment, but a threat to operating costs as well. Some folks think it might be easier to just scrap your recycling program all together, but it’s important to realize the impact that could have on the environment. 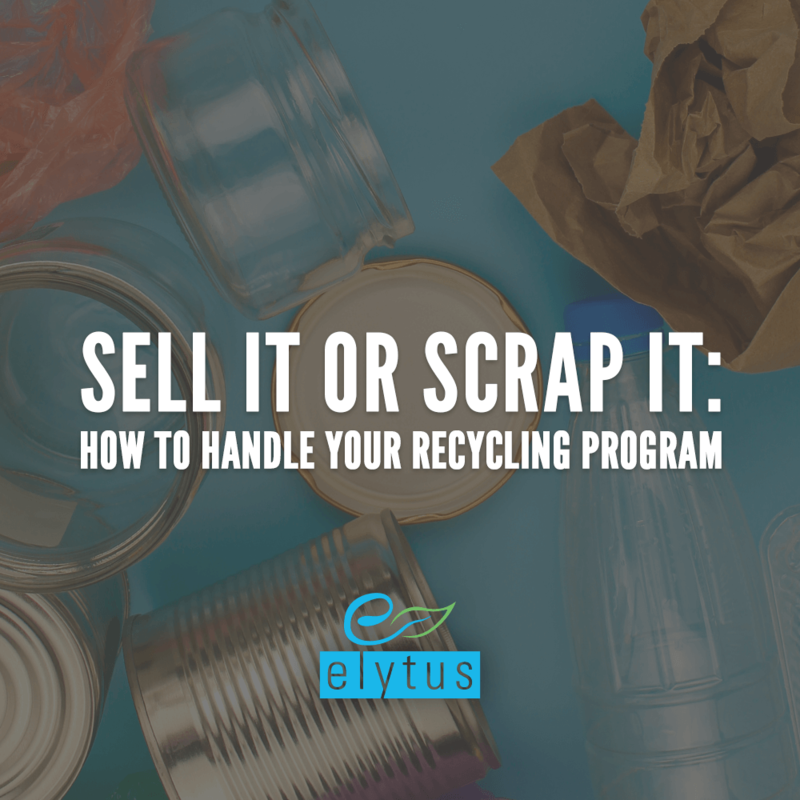 Since so many have already invested in the equipment, training and tools required to recycle, it is better to take the time to improve the program and continue recycling than scrap the program altogether. As leaders, we can implement changes in our organizations to help waste haulers and recyclers minimize the impact of this materials ban. To be more consumer-friendly, many recycling systems do allow different materials to be combined when recycling; however, this practice can also cause carelessness and a lack of understanding on what can and cannot be recycled. Throwing the wrong materials into a single stream recycling container can cause damage to machinery, diminish the quality and financial value of recycled materials and could lead to unsafe conditions for workers. While it is easier to throw all of the recyclable materials in the same bin, it’s imperative that we are educated and trained on the proper items that go into that waste stream. Food waste residue: Recyclables contaminated with food waste will most likely be sent straight to a landfill. You can avoid this by quickly rinsing out the materials. Liquids: Empty and rinse out all containers before recycling to avoid spillage. Greasy pizza boxes: The oils can’t be separated from the fibers. Plastic bags: Workers have to rip open bags to sort the recyclables, which wastes time and money. Shredded paper: The paper can be too small to sort and should be checked with your vendor. Scrap metal: Can cause excessive damage to the recycling equipment. Hazardous waste: All hazardous waste must be taken to a hazardous waste facility, not a recycling center. This includes items like paint, automotive fluids, car batteries and pesticides. Syringes, needles, diapers: All are unsanitary - and potentially dangerous - materials that can’t be recycled. Non-recyclable plastics: Plastic lids, styrofoam and other some other plastics are not recyclable in traditional single stream containers because stable markets don’t exist for these materials. Check the number on the bottom of your plastic item to see if it is able to be recycled. Ceramics, dishes, mirrors: They have different melting points and chemical compositions that could ruin new glass bottles. Entire loads of glass could be rejected if one of these non-recyclable glass items are seen in the batch. To make single stream recycling effective within your organization, each member needs to be well informed, from the top down. Always remember: recyclables belong in the bin, organics should be composted and only what’s left over should be tossed or properly disposed of if it’s hazardous. To be further proactive in stopping unaccepted materials from making their way into the bin in your area, check with your city or individual hauler to find out what recyclables they accept and how to prep them for pickup. To make sure the items in your bin do not become contaminated, keep all non-recyclables out of the bin, and keep any materials soiled with grease, food, or other liquids out of the bin. These steps will become second nature in time and you’ll give your materials the best chance of getting a second life. When you recycle correctly, not only are you helping the recycling facility, but you’re helping the environment, too. As the industry changes, we suggest to check with your municipality and local recycler to see if anything has been updated in regards to what is accepted in your recycling bins. For the items that are no longer accepted, make a plan to reduce your usage of those and/or try to find other environmentally friendly alternatives. Conduct a waste audit to see what items are being tossed in the recycling bin and what habits may need to be addressed. In conclusion, the increase in costs to process recyclables are temporary as the industry recovers and finds new ways to decrease contamination while also finding new consumers of the recyclable materials within the US. As such, it’s a great opportunity to retool your existing recycling program to provide better training, education, reduce contamination and sustain your overall disposal costs long term. If you are uncertain how the Chinese import policies affects you, Waste Dive is continuously tracking all 50 states and updating weekly.